Ethiopia has not provided details from the plane's "black boxes." The FBI has joined a criminal investigation to look into the certification of the Boeing 737 MAX 8, as new details from last year's Lion Air crash raised questions about pilot training on the now-sidelined plane. Sources familiar with the matter said the FBI is working with other federal authorities to look into the certification of the Boeing 737 MAX. It is unclear how much of a role the FBI -- and federal prosecutors from the Justice Department -- will actually have in this effort, as the investigation is in its earlier stages. Meanwhile, more details emerged on Wednesday about last year's Boeing 737 MAX 8 crash in Indonesia, further exposing what experts say was a lack of pilot training on the plane's suspect flight management system. The wait for critical information about what might have caused a second deadly crash 11 days ago in Ethiopia continued. The pilots aboard the Lion Air plane that crashed in October struggled with their quick reference handbook, a checklist for abnormal events, individuals with knowledge of the cockpit voice recorder told ABC News Chief Transportation Correspondent David Kerley. The pilots fought the sudden downward shifts almost two dozen times. The co-pilot began to pray, saying “God is great” and asking God to grant a miracle, according to a New York Times report citing an official who said he had heared what was on the plane's cockpit voice recorder. But the pilots eventually ran out of time, crashing into the ocean off of Indonesia minutes later, killing all 189 on board. The off-duty pilot told the captain and co-pilot how to disable the malfunctioning flight management system that was causing the plane to nosedive, according to Bloomberg. The next day, the same problem happened -- but this time the pilots on board did not disable the system. The black boxes were analyzed in France last week and returned to Ethiopia. 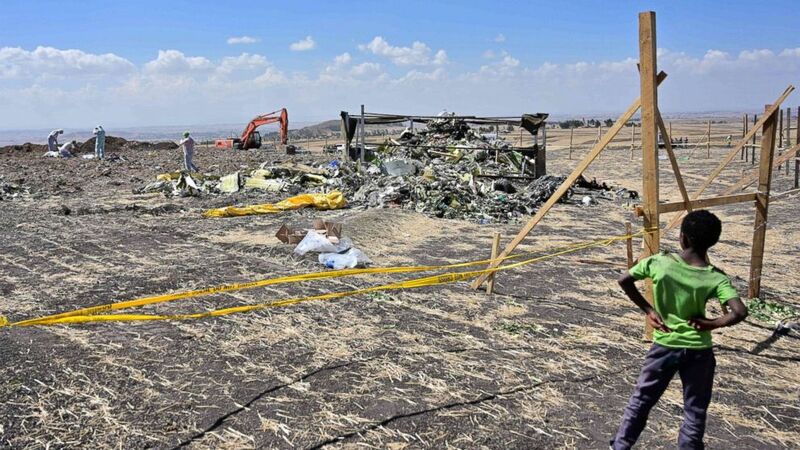 Ethiopia's top aviation official told the Wall Street Journal that a preliminary report, with data from the black boxes, could be released in a week to eight days. 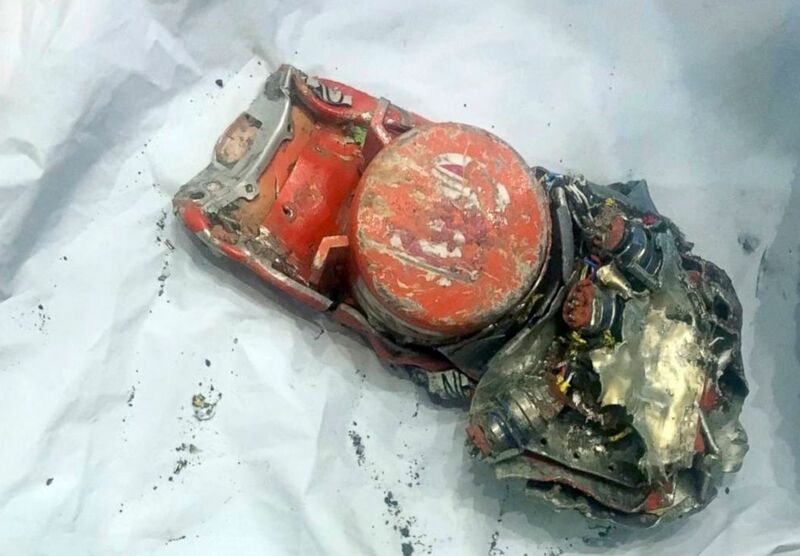 (BEA via AP) This photo provided by by the French air accident investigation authority BEA, March 14, 2019, shows one of the black box flight recorder from the crashed Ethiopian Airlines jet, in le Bourget, north of Paris. Boeing is likely to face continued pressure as details emerge about what help pilots had in averting situations like the Lion Air crash, the only crash with enough details at this point. According to the New York Times, certain safety devices that may have clarified faulty data readings for pilots came at an extra cost and were at times skipped by low-budget airlines. Questions have also been raised about the FAA's certification of the plane, as aviation officials from both the European Union and Canada have distanced themselves from the U.S. agency they often trust and rely on in plane safety matters. Canada and the EU say they will conduct their own reviews of the software fix Boeing is making in the plane’s flight management system software before allowing the plane back in the skies, even if the FAA certifies the aircraft as safe. And on Tuesday, the Department of Transportation announced it was launching an audit into the FAA's certification process. Transportation Secretary Elaine Chao asked the department's inspector general to document the process that allowed the Boeing 737 MAX 8 aircraft to start flying. (Tony Karumba/AFP/Getty Images) A boy look as forensic investigators comb the ground for DNA evidence near a pile of twisted airplane debris at the crash site of an Ethiopian airways operated Boeing 737 MAX aircraft, March 16, 2019, near Bishoftu in Ethiopia.